The surprise decision expressed by the British people in the referendum held in June 2016 to leave the European Union was remarkable. It also presents a "natural experiment" where the exposure of a society to an extraordinary event allows scholars to observe, in real time in the real world, the interaction of variables. The Routledge Handbook of the Politics of Brexit takes stock of what we know in the social science community about the Brexit phenomenon so far and looks to make sense of this remarkable process as it unfolds. The book asks simple questions across a range of areas and topics so as to frame the debate into a number of navigable "subdiscussions", providing structure and form to what is an evolving and potentially inchoate topic. As such, it provides a systematic account of the background for, the content of, and the possible implications of Brexit. The handbook therefore does not examine in detail the minutiae of Brexit as it unfolds on a day-to-day basis but raises its sights to consider both the broad contextual factors that shape and are shaped by Brexit and the deeper sources and implications of the British exit from the European Union. Importantly, as interest in Brexit reaches far beyond the shores of the United Kingdom, so an international team of contributors examines and reveals the global implications and the external face of Brexit. 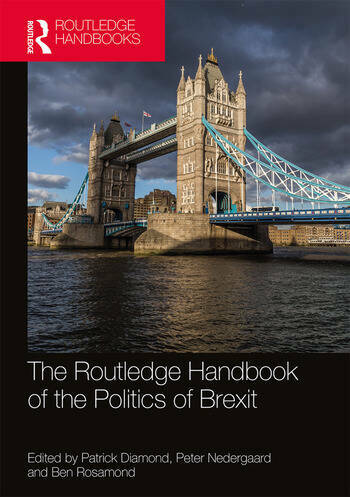 The Routledge Handbook of the Politics of Brexit will be essential reading and an authoritative reference for scholars, students, researchers and practitioners involved in and actively concerned about research on Brexit, British politics, European Union politics, and comparative politics and international relations. Patrick Diamond is Senior Lecturer at the School of Politics and International Relations, Queen Mary University of London, United Kingdom. Peter Nedergaard is Professor at the Department of Political Science, University of Copenhagen, Denmark.